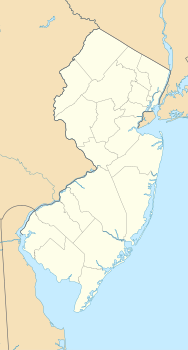 Scrappy Corner is an unincorporated community located along the border of Lebanon Township in Hunterdon County and Washington Township in Morris County, New Jersey, United States. ^ a b "Scrappy Corner". Geographic Names Information System. United States Geological Survey. ^ Google (January 31, 2015). "Scrappy Corner, Washington Township, Morris County, New Jersey" (Map). Google Maps. Google. Retrieved January 31, 2015. This Hunterdon County, New Jersey state location article is a stub. You can help Wikipedia by expanding it. This Morris County, New Jersey state location article is a stub. You can help Wikipedia by expanding it. This page was last edited on 26 March 2017, at 11:21 (UTC).